The falls are only a 45 minute return walk from the upper car park, which accounts for the popularity of that approach. By comparison, the lower car park is quoted as being three hours return walk from the falls - an obvious deterrent for those looking to save time and energy. I first visited the Liffey Falls using the popular route, and it was delightful, but on my last visit I used the lower road because it is better suited for campervans. I was in for a treat. Even just getting to the lower track is a delight. 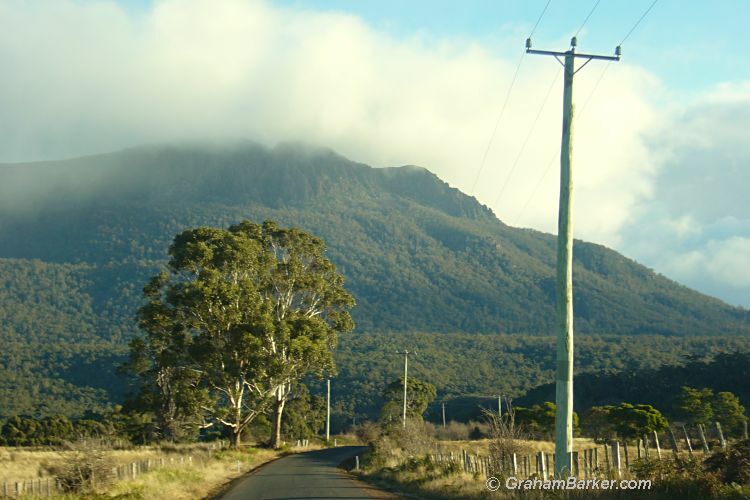 The steep edge of the central plateau - known as the Great Western Tiers - looms large as you cross lush green farmland towards the Liffey River. As the valley closes in, you pass through the idyllic-looking locality of Liffey, where Australian Greens senator Bob Brown has a cottage. Retreating here has helped Bob maintain sanity in the world of politics, and it's not hard to see why - he picked a great spot. 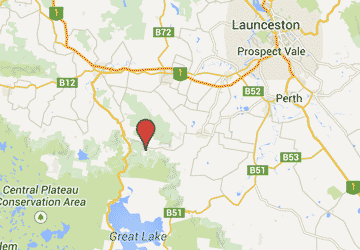 Continuing up the narrowing road brings you to the Lower Liffey Reserve campground. Facilities at this campground include a pair of clean flushing toilets ... and not much else. It's really just a trailhead with lots of space to camp, but if you're self sufficient it can be a pleasant place to stay, under the trees by the river, feeling remote from the rest of the world. 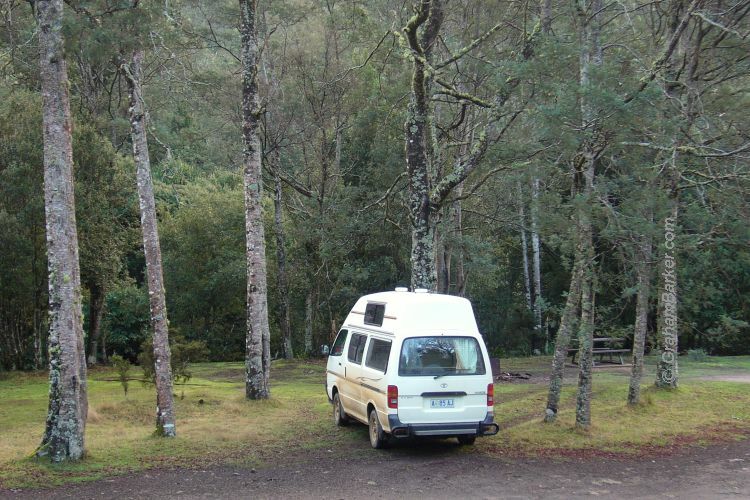 It was one of my favourite overnight stops when touring Tasmania last winter. Walking to the falls from here is relatively easy; much of the track follows old rail trails used for logging around a century ago. In two places the Liffey River is crossed on small but sturdy bridges, providing opportunities to pause and soak up the sound of the gurgling waters. The lush forest you pass through is a fine sample of what nature can build if left undisturbed long enough. Glimpses of Dry's Bluff appear through the trees in a few spots, as a reminder that the plateau edge is near. A fresh dusting of snow on the Bluff might top off the scene if you time it right. A little steepening of the track precedes arrival at the falls. 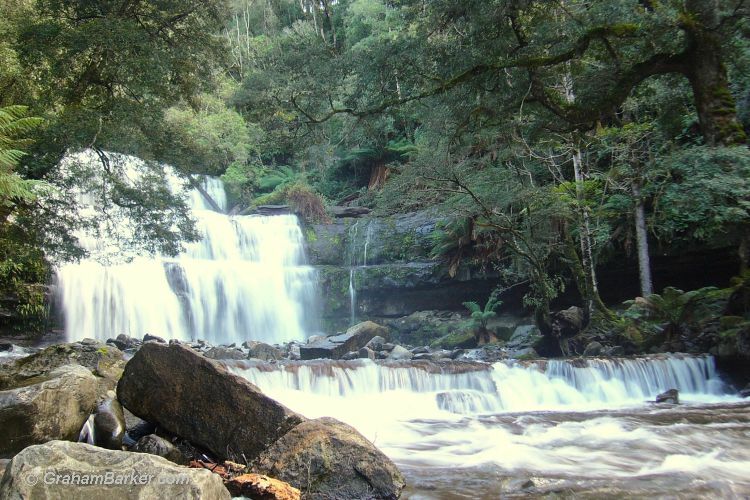 Many think Liffey Falls rival Russell Falls as Tasmania's prettiest, but however you rank them, it is a lovely spot to sit and soak up the scenery. The viewing platform is small, but steps down to the river give access to more viewpoints, and rocks to sit on. Returning is via the same route, and if you appreciate peaceful and gentle forest trails like I do, you'll have enjoyed a beautiful walk. The presence of a waterfall at the other end of the track is icing on the cake.